while this post may seem unrelated to my move, it came about because of it. i've spent a great deal of time moving around various bank accounts, comparing fees and rewards, as well as holding off on some purchases to make them more cost effective so, here we go. rewards credit cards: check out points guy, he's got the most comprehensive run down and tips, especially with travel rewards. i haven't been traveling much the last few years but i'm about to start. i also love any rewards points. amex allows points to be turned in for cash, flights or (most bang) gift cards. i've purchased many a nike gear, william sonoma cookware, clothes from nieman marcus and shoes from zappos. the available store has gone down but there's still good value. about a year ago i cashed in all my points for my garmin. balance transfers: i've transferred all my store cards (j.crew, banana, etc) to a chase card offering 0% for 16 months card. take a look at the apr b/c that is what keeps you from getting that remaining balance down. know when the sales are: shopbop always does a 25% mid october. i managed to snag my rag and bone booties for 25% off before the brand was put on the no fly list for the sale. follow your favorite shops on twitter and instagram, they frequently have social media only events. nordstrom has semi-annual sales, try to time your shopping around those. make a list of needs: i keep an evernote list of items i need: black v-neck tee, black ballet flats, etc. when i see a sale pop up i go to my list and see if there's anything on there that's available to shop. get the apps: amazon, sephora, gilt, shopbop, nordstrom, target, zappos, these are constantly being opened. 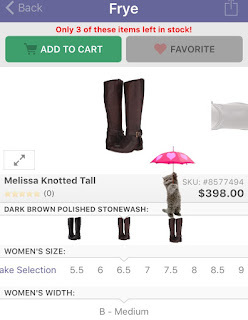 i allow alerts on the apps with "favorite lists" so i'm alerted when an item is on sale or low stock. keeps the impulse buying in check and also allows me to make a purchase decision if need be. 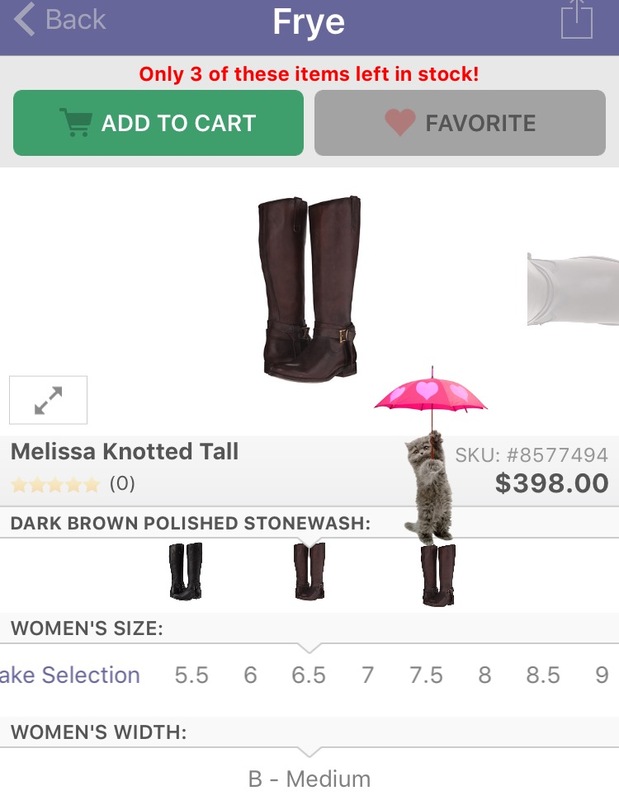 also, zappos has a kitten with and umbrella for their favorite item animation. not sure if i like the shoes or just want to see the kitten. store rewards: i buy 90% of my cosmetics from sephora to earn points. i pick my 100 and 500 rewards pretty carefully. i don't randomly try a product just because. when i ran out of my go to chanel perfume i forked over 200 points for one each of the nirvana rollers. i'll refill my chanel at some point, but the rollers will do for now. i also have a space nk and n.dulge at bloomingdales which is double rewards. since i'm a sucker for the diptyque candles, i can easily earn a $10 reward. 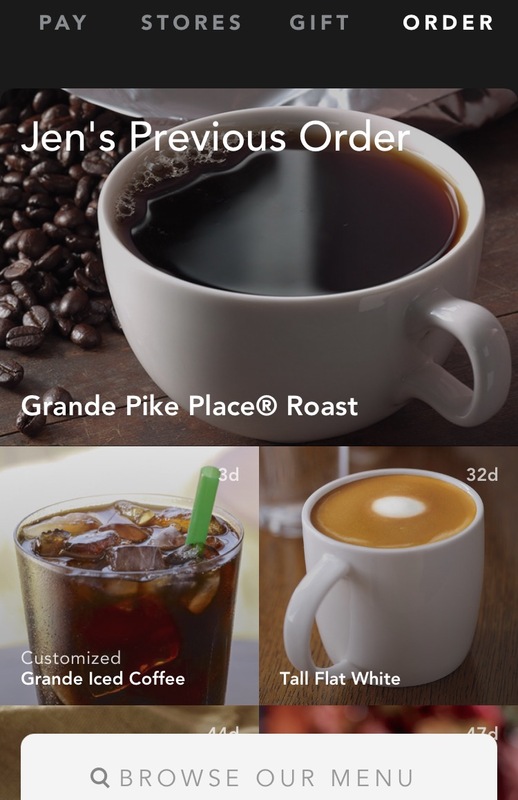 get the starbucks card/app: the first thing money managers bring up is the "latte factor." cut out the $4 latte and you'll save money. it's true, but if you're dropping into a starbucks once a month, get a card. at the very minimum you'll get 2 free drinks a year: one when you hit 12 stars and one on you're birthday. plus, you can order on your way to the store and not have to wait in line. those glares in the morning as i walk in and walk out while the line is out the door, i love it. my primary purchases are a grade drip or iced coffee, cheap items that add up to a free triple grande of my choice. there's also bonus star opportunities. don't buy exercise classes unlimited or single session: unless you're going to use that month unlimited for all it's worth, don't spend the $$. my favorite workout, pop physique, sends a deal around every week or so offering classes for 50% off when you buy a small 3 or 5 class package. they usually are good for 90 days so you're less likely to waste the class. follow your favorite studio on twitter and instagram so you don't miss the flash deals. shop at one grocery store: my mom would half agree with me except that she is the queen of double coupons and she's feeding 3. i'm just feeding me, so my grocery bill is much lower than most. i used to shop all the sales: target, ralphs, albertsons, etc. but once i was gone driving all over picking up groceries from 5 different stores, i'd burned the savings on gas. i'm pretty strictly trader joe's now except for the odd item they don't have. but really, if it's not at trader joe's, do i really need it? *i am by no means a financial expert/planner, these are practices that have helped me enjoy shopping while maintaining a savings account at the same time. i work freelance in film, i watched movies in college for credit.